With the 27-13 loss to the Arizona Cardinals on Sunday, any playoff hopes for the Atlanta Falcons look several million miles away. The score wasn’t nearly indicative as to how one-sided this game really was. 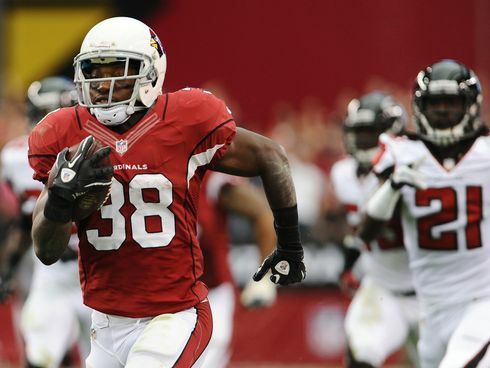 The Atlanta Falcons look to notch their first road win as they head out west to face the Arizona Cardinals. The Falcons (2-4) rode Harry Douglas, who had to step into the role as the top target with Julio Jones being out for the season and Roddy White nursing ankle and hamstring injuries, and Matt Ryan to victory last week over the Tampa Bay Buccaneers. If Abraham is indeed announcing his retirement, it’s certainly unexpected. At 34, you’d think Abraham had at least one more year left in him. After all, he did notch 10 sacks last season. Abraham must be really unimpressed with the offers he received on the open market. I was convinced he’d be in a Falcons uniform once the 2013 season started. It’s a sad day if he really is retiring. We’ll see what happens. UPDATE: Abraham apparently isn’t retiring. And the tweets have since been deleted. According to a tweet from Sports Illustrated’s Peter King, the Atlanta Falcons are looking to trade up from the 30th pick in the 2013 NFL Draft. Hearing the Falcons are trying to trade up from number 30 in the first round, and not, obviously, for a quarterback. D. Orlando Ledbetter of the Atlanta Journal-Constitution suggested the Falcons would trade up for one of the draft’s top cornerbacks. For the Falcons to draft Alabama’s Dee Milliner, it would likely take a blockbuster trade in the same vein as the trade for Julio Jones a couple of years ago. Florida State’s Xavier Rhodes or Washington’s Desmond Trufant are likely candidates. 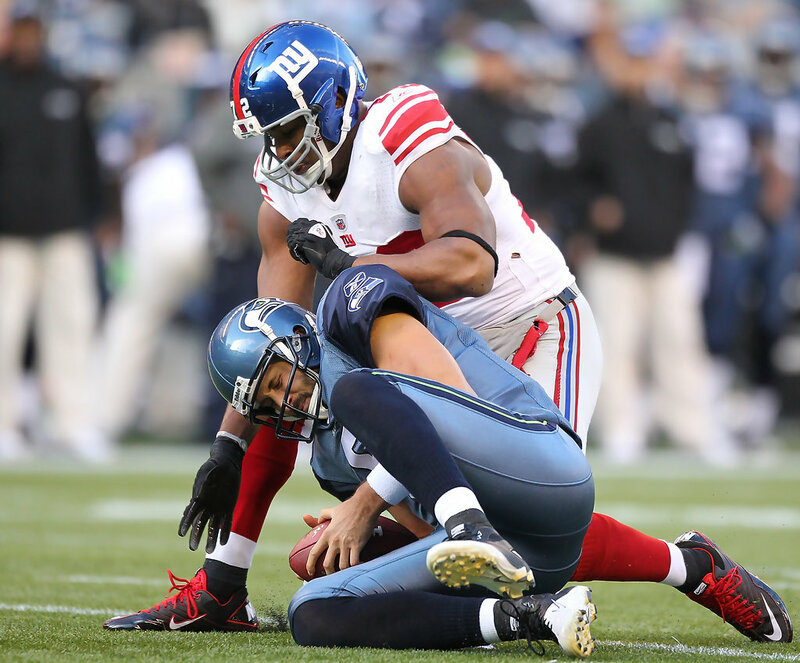 Although drafting a cornerback would make sense because the Falcons have a glaring need with both Brent Grimes and Dunta Robinson gone, they could also look to draft a defensive end to pair with newly acquired Osi Umenyiora to help offset the loss of John Abraham. The first round of the 2013 NFL Draft starts April 25 at 8 p.m. EST. It’ll be interesting to see what moves general manager Thomas Dimitroff will make. 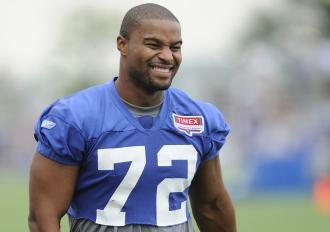 Will John Abraham be a Falcon in 2013? The Atlanta Falcons cut ties with John Abraham before free agency began because of his high cap hit, but what are the chances he returns on a team-friendly deal? If the Falcons were to re-sign Abraham before the upcoming draft, they likely wouldn’t have to use an early pick on a defensive end; even at their current ages, Abraham (34) and free agent pickup Osi Umenyiora (31) would be able to generate pressure consistently. 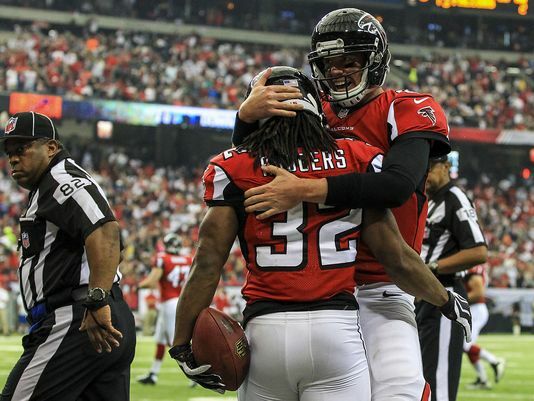 His heart is clearly still in Atlanta, so I have a feeling if the Falcons make him a semi-decent offer, he’ll return. 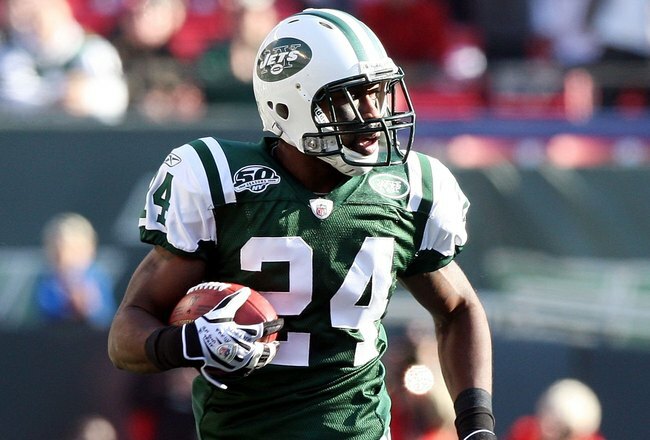 The Atlanta Falcons are reportedly interested in New York Jets cornerback Darrelle Revis. Unquestionably, Revis is better than any player in the Falcons secondary. He’s a true shutdown corner, and the Falcons pass defense would improve dramatically. However, the 27-year-old cornerback is coming off a torn ACL injury. There’s also the fact he’s going into the last year of his contract, and the Falcons would need to meet his financial demands of between $12 and $16 million per year to keep him for more than one year. Otherwise, the Falcons would be trading multiple high draft picks for a one-year rental, and that’s not a feasible option when the Falcons have needs to address in the draft. Last week, the Falcons freed up cap space by releasing veterans John Abraham, Dunta Robinson, and Michael Turner. Don't get too worked up about the Revis report. 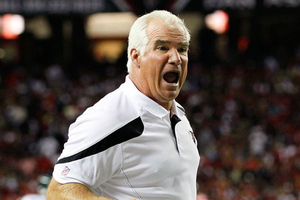 #Falcons freed up cash for their free agents. Jets trying to leverage 49ers with leak. Revis on the Falcons would be awesome, and it would continue general manager Thomas Dimitroff’s streak of making a big move each year. But as it stands now, the Falcons are in no position to take the plunge for the best cornerback in the league. The Atlanta Falcons have released defensive end John Abraham, cornerback Dunta Robinson, and running back Michael Turner. The Falcons traded with the New York Jets for Abraham in 2006. He was originally selected by the Jets with the 13th pick in the 2000 NFL Draft. 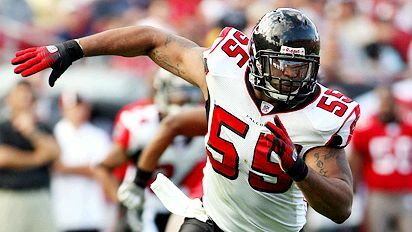 The defensive end played seven seasons with Atlanta, and he notched 68.5 sacks. He had a career-high of 16.5 sacks in 2008. Last season, he had 10 sacks.